One of those routine jobs, should of taken 5 mins, but ended up being a hours worth of bashing. I had intended on removing the rear brake, clean and replace. Soon found the bolt that holds the caliper to the frame has seized in the frame. Even some serious force applied to the hex wrench didn’t help. In fact it made it even worse by stripping the head. Luckily it was so seized, spinning the whole brake got the brake off. But the nut was still in the frame, and no amount of poking and prodding was getting it free. A look round the garage for a bolt with the same diameter as the brake bolt left me disappointed, so it was a case of removing the front brake which has a longer bolt, inserting it into the rear nut, and smacking it with a hammer. Eventually, the nut was free. Looking like the winter salt had got in, and jammed it in. A good clean out of the recess, and enough salt to provide my local chippy for a week cleaned, I was ready to rebuild the braking system. But no spare nut in my repair kits. Great, someone’s really trying to piss me off with this now. A quick trip to sjscycles saw them out of stock for the correct size and flange. So a full new caliper ordered. Two days later it was finally fixed. I can handle most weather, be it rain, hail, snow or heat. But wind is my nemesis. This ride was one of the worst for wind I can remember. 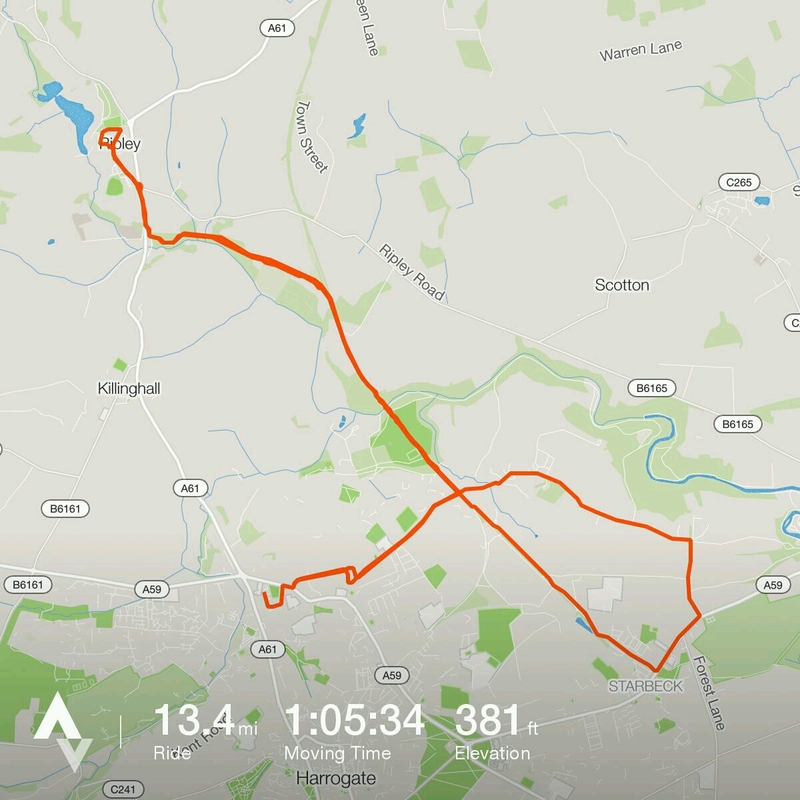 It started as a tailwind, turned to a headwind, and then, just to test me, a sidewind on a busy main road..
All good fun resistance training..